A 15-year-old Al MacInnis patrolled the blue-line of the Antigonish Pirates at the 1979 Air Canada Cup in Winnipeg, Man., helping the team to a sixth-place finish, which was the best ever by a Nova Scotia representative at the time. The Pirates finished the round robin with a 2-3 record. After a year of Junior A hockey in Saskatchewan, MacInnis joined the OHL’s Kitchener Rangers, playing three seasons with the team, helping it to back-to-back OHL championships and capping his junior career with a Memorial Cup title in 1982. Selected 15th overall by Calgary in 1981, MacInnis joined the Flames full time in 1983 and blossomed into one of the NHL’s top defencemen of the 1980s, highlighted by receiving the Conn Smythe Trophy in 1989 after leading Calgary to its first Stanley Cup. 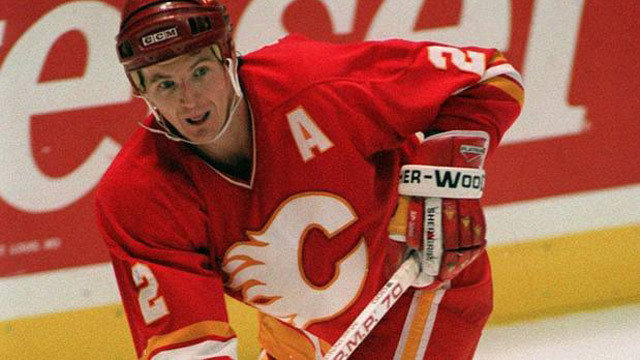 After 11 seasons, six NHL All-Star Game appearances and two First All-Star Team spots in Alberta, MacInnis was traded to St. Louis in July 1994, leaving the Flames as their all-time leading scorer. MacInnis continued his upwards career trajectory with the Blues, earning two more spots on the First All-Star Team and claiming his first Norris Trophy as the NHL’s top defenceman in 1998-99, along with winning an Olympic gold medal with Canada in 2002. He officially retired in 2005, ending his career ranked third in goals, assists and points by a defenceman in league history. MacInnis earned induction into the Hockey Hall of Fame in 2007. Winners of the inaugural Wrigley Cup in 1974, the Verdun Leafs returned to the National Midget Championship one year later, this time with a young Denis Savard in their line-up. Savard helped the Leafs reach the gold medal game once again, running their overall winning streak to 11 games, before Verdun lost a 7-4 decision to the Barrie Co-ops with the national title on the line. A scoring star in junior hockey, Savard posted totals of 116, 158 and 181 points in three seasons with the Montreal Juniors, which led to his selection by Chicago as the third-overall pick in the 1980 NHL Entry Draft. Savard recorded three assists in his NHL debut and finished his rookie season with 75 points, the only season from 1980 to 1988 in which he failed to reach 90 points, hitting a career high of 131 in 1987-88. After 10 seasons in Chicago, Savard returned home to Montreal in 1990, helping the Canadiens to their 24th and most recent Stanley Cup championship in 1993, the only time in his career he would hoist hockey’s Holy Grail. He signed in Tampa Bay the summer following the Stanley Cup win and played a season-and-a-half with the Lightning before a trade back to Chicago, finishing his career where it started. 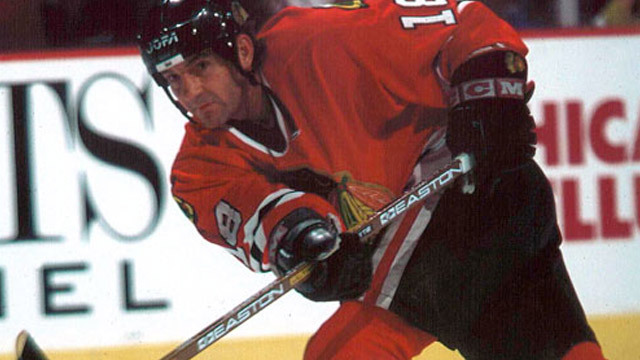 A 2001 Hockey Hall of Fame inductee, Savard ranks third all-time in Blackhawks scoring, trailing only Bobby Hull and Stan Mikita, and had his No. 18 retired by the team in March 1998. A 15-year-old Minor Midget call-up to the Barrie Co-ops, Mike Gartner helped the team win the gold medal at the 1976 Wrigley Cup and head overseas for a five-game exhibition tour against Midget teams from the Soviet Union. The Co-ops dominated the National Midget Championship in Oshawa, Ont., going 7-0 and outscoring the opposition 42-12. After playing a season as an under-age player with the WHA’s Cincinnati Stingers, Gartner was selected fourth overall by Washington in the 1979 NHL Entry Draft and immediately joined the Capitals as an 18-year-old rookie. He played parts of 10 seasons with Washington and remains second all-time among Capitals in goals, assists and points. Gartner spent a season in Minnesota before a trade to New York, playing five years with the Rangers before coming home to Toronto for parts of three seasons. He finished his career with two years in Phoenix, and retired in 1998 as the fifth-leading goal scorer in NHL history with 708 (he now ranks sixth), leading to his enshrinement in the Hockey Hall of Fame in 2001. Despite his long and impressive career, Gartner never won the Stanley Cup or played in the Stanley Cup Final, never won an NHL award and was never named to the postseason all-star team, one of the few Hockey Hall of Fame inductees to hold this distinction. Only Phil Housley played in more games (1,495) than Gartner without winning the Stanley Cup. Five years before Cliff Ronning (see No. 19) led Burnaby Winter Club to B.C.’s lone national championship, it was Glenn Anderson helping the BWC to the province’s first-ever medal at the tournament. Burnaby lost just a single game in Moncton, N.B., to eventual champion Don Mills, and claimed the bronze with a 5-3 victory over the host Flyers. Anderson headed south of the border to play junior hockey, averaging more than two points per game (131 points in 64 games) in one season with the BCJHL’s Bellingham Blazers before spending time with the University of Denver and the WHL’s Seattle Breakers. Selected by Edmonton in the fourth round of the 1979 NHL Entry Draft, 69th overall, Anderson joined Canada’s National Men’s Team for the 1979-80 campaign, playing in the 1980 Olympics in Lake Placid, N.Y. 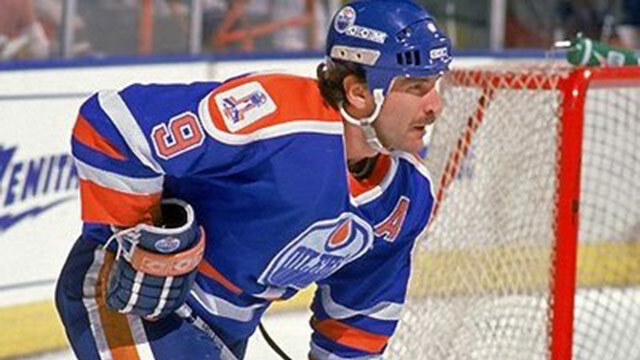 He started his pro career with the Oilers the following season, and in 11 seasons in Edmonton posted three 100-point seasons and won five Stanley Cups. 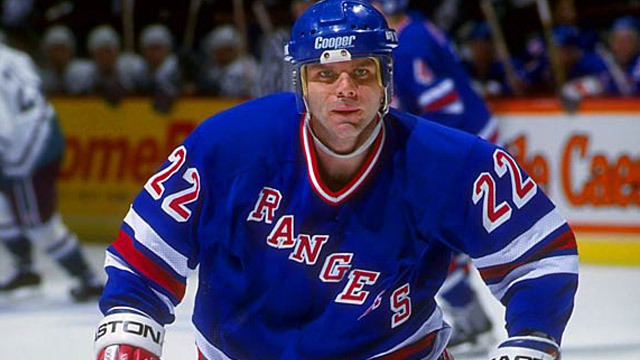 He signed with Toronto in 1991 and played parts of three seasons with the Maple Leafs, joining the NHL’s 1000-point club before a trade to New York in 1994, where he won a sixth Stanley Cup with the Rangers. 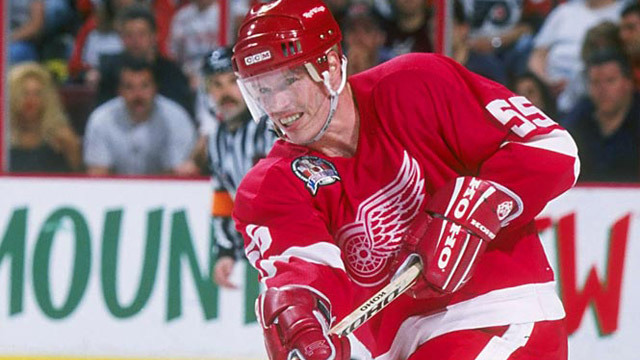 Anderson had a pair of quick stops in St. Louis and a brief return to Edmonton in 1996 before calling it a career after a season spent playing in Switzerland and Italy. He was inducted into the Hockey Hall of Fame in 2008. The Wrigley Cup headed to Atlantic Canada for the first time in 1977 and it was the Don Mills Flyers, including a young Larry Murphy on the blue-line, who staked their claim to the national championship in Moncton, N.B., rolling undefeated through the preliminary round and outscoring their opposition 37-5 before a wild 7-6 gold medal game win over the Lions du Lac St-Louis. A standout Major Junior career with the Peterborough Petes, which included a pair of trips to the Memorial Cups and an appearance at the 1980 IIHF World Junior Championship, led to Murphy being the fourth-overall selection in the 1980 NHL Entry Draft by Los Angeles. Joining the Kings for the 1980-81 season, Murphy set NHL records for assists and points by a rookie defenceman, both of which still stand today. After three seasons in California, six with Washington and parts of three with Minnesota, Murphy was traded to Pittsburgh at the 1991 trade deadline and helped the Penguins win back-to-back Stanley Cups in 1991 and 1992. Dealt to his hometown Leafs in the summer of 1995, Murphy patrolled the Maple Leafs blue-line for two seasons before a trade to Detroit, where he won the third and fourth Stanley Cups of his career with the Red Wings in 1997 and 1998, becoming the lone NHLer to win four championships in the 1990s. Murphy called it a career after the 2000-01 season, retiring as the fifth-highest scoring defenceman in NHL history, and currently ranks second in games played by a defenceman. The three-time member of the NHL Second All-Star Team was elected to the Hockey Hall of Fame in 2004.